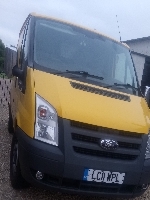 Ford Transit Forum • View topic - mk6 tourneo rear carpet FREE COLLECTION ONLY. mk6 tourneo rear carpet FREE COLLECTION ONLY. rear carpet from 05 tourneo will clean up ok could be used as a template,free collection middlesbrough.tel 07868366954. Re: mk6 tourneo rear carpet FREE COLLECTION ONLY.